Our initial work was completed in mid 2009 under the title “Economic Warfare Risks and Responses.” We came to some startling conclusions. There was clear and compelling evidence, later corroborated by multiple sources, that foreign financial terrorists could attack our markets and economy. Further research demonstrated that attacks did, in fact, take place in 2007 and 2008 when we were most vulnerable. Even the Treasury Secretary at the time of the crash admitted as much in a BBC interview years later. There can be no doubt. What was surprising, however, was the Administration’s effort to silence this research as noted by Bill Gertz, perhaps the best defense/intelligence reporter in America. You would have thought that these findings would have provoked a national outcry. 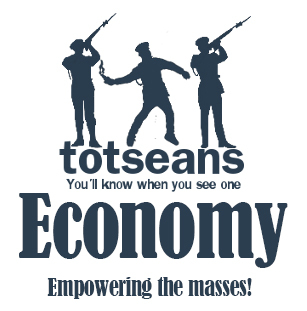 Instead, they were purposely kept from the official Financial Crisis Inquiry Commission (FCIC) report to Congress on the “Causes of the Financial and Economic Crisis in the United States.” You might have thought the fact that foreign terrorists were trying to crash our market and economy might warrant a mention, especially if it were understood that their actions ultimately impacted our Presidential election. 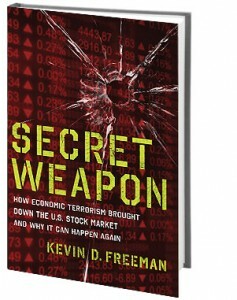 In January 2012, Regnery published my book Secret Weapon: How Economic Terrorism Took Down the U.S. Stock Market and Why It Can Happen Again. It is the “Why It Can Happen Again” part that merits consideration right now. From the day it was published until recently, the stock market has proven very resilient. No one has really been concerned about another crash, at least not until recently. In fact, the markets moved rather steadily from the 11,000 level (as measured by the DJIA) to the 18,000 level without much interruption after our research came public. There was a scare in the second half of 2015 but the markets seemed to recover quickly, ending the year flat and with predicted strong prospects for 2016. Unfortunately, the New Year has not cooperated. In fact, the start to 2016 was the worst in history. We were in a non-incumbent Presidential election year then and now. In both cases, the economy had recovered from initial weakness during the President’s first term but appeared to be rolling over. Remember that the official story is that the “Flash Crash” was caused (or at least exacerbated) by a London-based trader. If a lone trader with $40 million could do that much damage, what could a nation state do? The reality is that a House Committee learned that any number of hackers have the capability of taking down America by destroying our stock market. If the machines did cause a market crash, would we ever know for certain whether it was an accident or evil plot? For the first time in the four years since Secret Weapon: How Economic Terrorism Took Down the U.S. Stock Market and Why It Can Happen Again was published, people have become concerned about the “Why It Can Happen Again.” Recent volatility has shaken people awake. Perhaps it’s time to pull the Secret Weapon book off the shelf and read it again.